Minister of National Security Stuart Young. 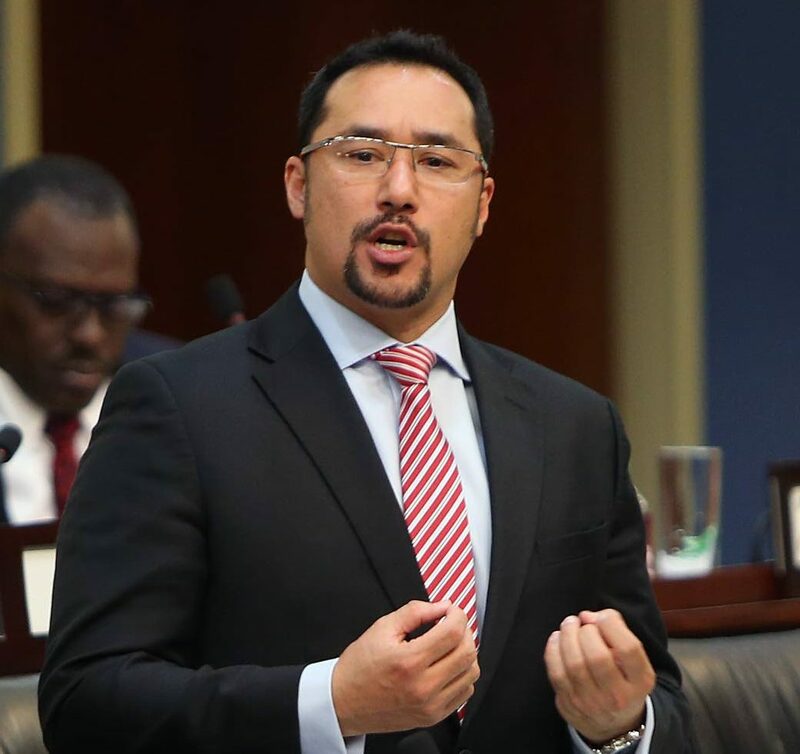 MINISTER of National Security Stuart Young is buying up to 250 guns for prison officers to keep with them off-duty, he said yesterday in his contribution to the Senate budget debate. He said the Government was very sympathetic over the murder of two prison officers within the past few days. Young said he had spoken to both the Prison Service executive and the Prison Officers Association (POA) about guns for off-duty officers. Instead he preferred to assist prison officers by way of a “keep-and-carry policy,” which is already used to allow other servicemen to have their guns when off-duty. He said he had recently visited a prison where he met both staff and inmates. Young said the Government has recently procured stab-vests for prison officers, and they are due within weeks. A state-of-the-art alarm system is being procured for the Maximum Security Prison at Arouca, he vowed. Young also promised to expand the use of the Inter Agency Task Force (IATF) to secure prisons. While just half complete, a video conferencing facility of six to seven courts will be brought into use within a year, he said, to avoid transporting inmates to courts elsewhere. Young hit the use of fake news on social media, saying it was of concern to the law-enforcement authorities and there was a plan afoot to distort reality by those who once held government. Recalling a recent appeal to block roads, he said such messages affect law enforcement. He said during Thursday’s post-Cabinet news briefing, someone had bombarded the public with fake news via social media. Reply to "Young: 250 guns for prison officers"